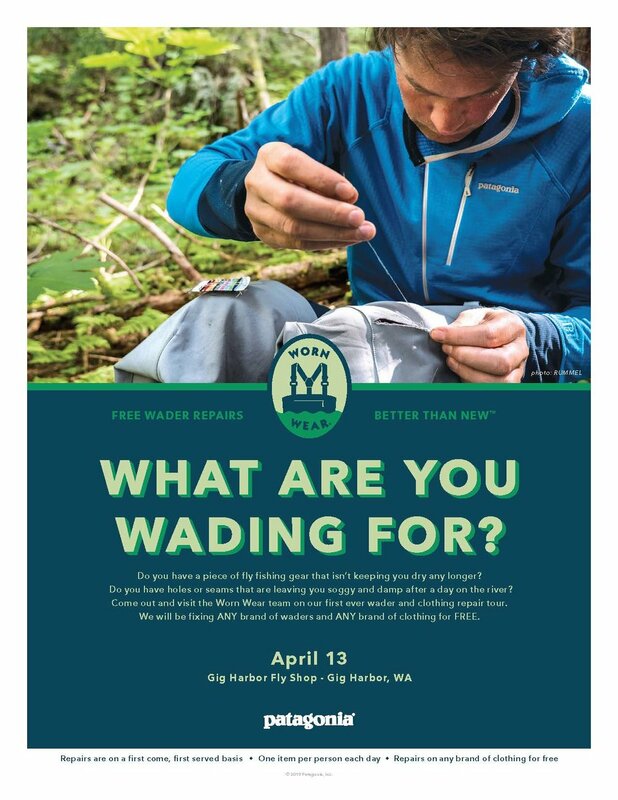 Patagonia’s Worn Wear wagon will hit the road on April 13 on the first Worn Wear Fish Tour. The repair team will be outfitted with new tools and supplies to stretch the life of well-loved fishing gear and clothing. All brands of waders and clothes are welcome, as long as they’re dry. We can’t fix rods and other hardgoods, but we can tune up all types of garments, so non-anglers are welcome. All repairs are free! Patagonia’s Worn Wear program was created in 2013 to encourage people to change their relationship with stuff, because one of the most responsible things we can do as a company is to make high-quality products that last for years and can be repaired, so you can buy less. The program provides significant resources for responsible care, repair, reuse, resale and recycling at the end of a garment’s life. Known for building highly durable products, Patagonia believes in the intangible value of things that accumulate meaning over time. The memories contained in patches, stitches and scars can’t be replaced with something new—and Worn Wear aims to help customers celebrate those stories. The tour schedule is below. We’ll be showing up with our trailer, armed with staff trained to mend people’s clothing. Please help us share this news with your fishing community who surely own gear in need of repair. You can download photos and event flyers here. First stop: Gig Harbor Fly Shop.